The holidays are a busy time of year when it comes to social events. It can also an intimidating time of the year if you lack a confidence and are shy. Whether it’s a casual neighborhood gathering or a formal office party, starting up conversations with people you either don’t know or don’t know well can be difficult and leave you feeling anxious and nervous. Here are some ways to put the social butterflies at rest. Be open to conversation. Start by smiling and making eye contact and adding in hello. Being friendly and open will help get conversations started. Don’t spend too much time on your smartphone. If you’re looking at your smartphone too much you may miss a cue that someone may be interested in starting a conversation with you. People may assume that you are not interested in a conversation and may be less likely to approach you. Join an ongoing group conversation at the social event. 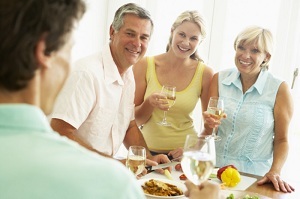 At social gatherings people often walk around, moving in and out of different conversations. See if you can join a group that is discussing a topic that interests you. Ask questions. This is a great opportunity to catch up with coworkers, friends or family on what they have been up to. Be careful it doesn’t turn into an interview -like conversation, and try to share some experiences and stories of your own. Step out of your comfort zone. Once you start a conversation with someone and you feel comfortable talking with the, you may feel like sticking with them all night. Try to take a risk and strike up a conversation with someone else. You may find someone else that has similar interests as you and have some great conversations. Stay out of the kitchen. Don’t avoid the social get together by staying away. Get immersed in the event. Avoiding social situations will only worsen your anxiety. If you’re shy, talking to others will be difficult at first. Things may not go completely smooth, but it will get easier – just keep practicing. Don’t be too tempted to drink before the party to calm your nerves. Arrive at the party and settle in for a bit before going for a drink. You’ll find you have calmed a little even without alcohol. Trying to control or hide your anxiety at a party may make it worse. Accept the uncomfortable feelings, and try the tips above to keep calm. ‘Tis the season to enjoy friends, coworkers and family at social gatherings galore – you can enjoy them as well. Take a breather now and then by stepping outside or away from it all. Relax yourself, then go back in there and join in the fun. You may surprise yourself on how you have become a little less shy. Take things slow and follow the tips above. This entry was posted in Health News and tagged confidence, holiday parties, mingle, motivation, overcome shyness, shyness on December 24, 2014 by admin. The internet is a vast source of information that we often turn to when searching for information on health problems or physical symptoms we may be facing. 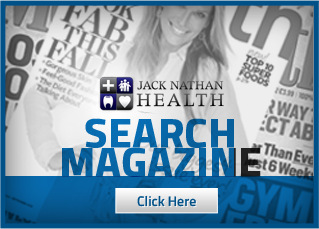 Experts have found that many of us will search online for health related information. This can be a concern – not everything you read online is necessarily accurate or applicable to your specific situation. Many individuals will not take the time to get a proper diagnosis to a health or physical problem. It can be time consuming with visiting doctors and specialists, going for tests and taking time off work. Cost can also sometimes be a factor. 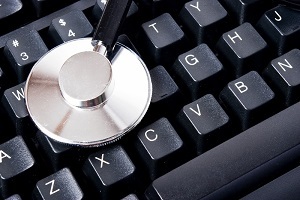 All reasons to lead many to self diagnose their ailments by using the internet. The diagnosis may be wrong. The diagnosis may cause unnecessary anxiety. Self-diagnosis may convince you that nothing is wrong – having you skip the visit to the doctor. Without proper clinical diagnosis and medical attention, your condition may worsen. 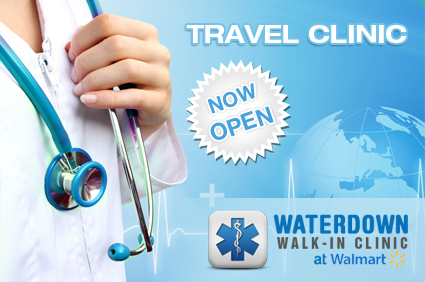 In the case of a serious illness, a delay in proper medical treatment may lead you to serious complications. A self-diagnosis can lead to misdiagnosis. The internet can be misleading and also confusing. There are hundreds of serious health conditions that share a number of similar symptoms. Choosing the wrong self-diagnosis can also lead to the use of drugs and drug abuse – using drugs that aren’t needed and in turn may cause more harm. The self-diagnosis can be misdiagnosed and leave you feeling anxious and worried about something that just may not be true. The added worry and anxiety can cause additional problems like abdominal pain and ulcers which may cause more misdiagnosis. You also need to be aware of where exactly are you getting your information. Is it medical website, someone’s personal blog, social media? Is it credible? 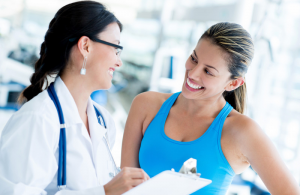 So, when it comes down to it, there really is no substitute for visiting your family doctor and taking the steps to determine what your health or physical issues are and how they should be properly treated. You can always use the internet to find more information on the issue, with the recommendation of valid websites from your doctor of course. This entry was posted in Health News and tagged health, health information, health sites, internet doctor, self diagnosis, symptoms on December 10, 2014 by admin. It’s that time of year again, cold and flu season. Germs are everywhere and on everything you touch. You spend your days at work, then off to the gym and you are touching multiple items that will carry germs. Illnesses like the flu and colds are caused by viruses that infect the nose, throat, and lungs. What can you do to protect yourself from getting sick? There are some key ways to protect yourself from germs you find at work and at the gym. Protect your bare feet from germs and fungus such as athlete’s foot. Wearing flip-flops in the shower will eliminate the direct contact you have with the floor in the shower, sauna and change rooms. Fungal infections can happen anywhere when you have bare feet. When you drink from your own reusable water bottle and not the drinking fountain you are eliminating your risk to Norovirus, a highly contagious intestinal virus that can easily be spread through communal water fountains. Be careful not to keep opening and closing the bottle either as you can easily transfer germs from your hands to your mouth. Your gym bag can be a great place for germs to hide especially when you think of where you put it. Car floor, change room floor, public washrooms, all great places to pick up germs. Take the time to regularly wash out and disinfect your gym bag. Keep a bottle of disinfectant spray in your car or gym bag that can be used even before the bag enters your house. Whenever possible, bring your own equipment to use at the gym. An easy one is your own workout mat or yoga mat. Even if you can manage your own kettle bell or bar bells, you’ll be less likely to pick up something from someone else. Be sure to sanitize your equipment as well. A crowded fitness class can be an easy way to catch the flu. When possible try to keep about 2 arms length away from anyone else. When you head to the cardio or weight equipment, if the gym isn’t too busy, pick a machine that is not right beside someone else. Wipe down your work area often. Pay attention to computer keyboards, desks and telephones. Germs accumulate quickly on and around these areas so you want to make sure they are cleaned often. An office kitchen can carry the most germs. Almost everyone goes in there and touches something. Be sure to wash your hands well before and after handling food and touching places like the refrigerator door handle and microwave oven. Door knobs and handles can breed germs. If possible use a tissue or paper towel when you have to open a door. Otherwise, wash hands or use a hand sanitizer after touching door handles. Another popular spot in the office building for germs is the washroom. Try not to touch anything unnecessarily. Wash hands before you head back to work to prevent the spread of germs from the restroom to other areas of the office. A courteous handshake is part of doing business. Make sure to wash your hands or use a hand sanitizer after this gesture to prevent the spread of germs. Avoid touching your face right after a handshake. Wash your hands regularly. The best way to combat germs is to wash your hands after doing any activity. You especially want to make sure you wash your hands before and after you eat. Avoid touching your face. Any surface can contain germs. You’re hands are always busy touching something. Avoiding touching your face because germs you come in contact with can wind up in the openings of your nose, ears and mouth. By being aware of your surroundings and what you may be touching, you won’t have to hide out for cold and flu season to stay germ free. The key to staying healthy is continuing with your healthy lifestyle, healthy food, healthy amounts of exercise and definitely washing your hands often. This entry was posted in Health News and tagged colds, fight germs, flu, flu season, germs, hand washing on December 5, 2014 by admin. Holiday dinners usually mean Turkey. With the turkey dinner comes the aftermath, lying on the floor or couch, sleepy and full. However, there are many benefits of a delicious turkey dinner.The turkey is often cited as the culprit in the after dinner lethargy, but most of the time it is not the bird that makes you feel the effects of the feast. 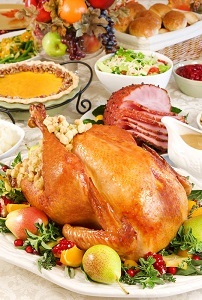 Turkey does contain L-tryptophan, an essential amino acid with a documented sleep including effect. L-tryptophan is used in the body to produce the B-vitamin, niacin. Tryptophan also can be metabolized into serotonin and melatonin, neurotransmitters that exert a calming effect and regulates sleep. However, for tryptophan to really take effect and make you feel sleepy, it needs to be taken on an empty stomach without other amino acids or protein. You’re likely enjoying your tryptophan filled turkey with other delicious dishes. L-tryptophan may be found in turkey and other dietary proteins, but it’s actually a carbohydrate-rich (as opposed to protein-rich) meal that increases the level of this amino acid in the brain and leads to serotonin synthesis. Carbohydrates stimulate the pancreas to secrete insulin. When this occurs, some amino acids that complete with tryptophan leave the bloodstream and enter muscle cells. This causes an increase in the relative concentration of tryptophan in the bloodstream. Serotonin is synthesized and you feel that familiar sleepy feeling. One of the main health benefits of turkey is that it supports healthy growth. This nutritious meat contains a massive 30 grams of protein per 100 gram serving. Protein’s main role in the body is to build, maintain and repair the body’s cell. Without protein your body cannot produce new cells and is unable to grow and develop properly. Another health benefit of turkey is that it can boost your mood. The protein found in turkey contains high levels of the amino acid tryptophan which your body can use to produce serotonin. Serotonin is an important hormone which has been shown to improve mood levels and even prevent depression. If you struggle to sleep then you may be interested in this health benefit of turkey. The tryptophan found in this meat has been shown to improve sleep cycles (especially for insomniacs). 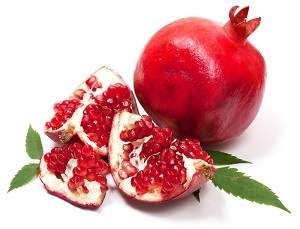 Turkey is rich in two key cancer fighting antioxidants. 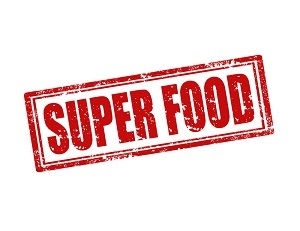 It contains 0.032 milligrams of selenium (over half the recommended daily allowance) and 1.32 mg of zinc (1/5 of the recommended daily allowance). Selenium has been shown to prevent colon cancer, lung cancer and prostate cancer while zinc has been shown to protect against prostate cancer. Another key health benefit of turkey is that it promotes a strong immune system. The selenium in turkey helps your body produce antibodies (organisms which work as part of the immune system to fight disease and infection) while the zinc in turkey helps your body produce white blood cells (cells of the immune system which protect the body from disease and infection). So, turkey isn’t the culprit here. It’s likely the amount of food we end up eating. It takes a great deal of energy to digest a large meal. When your stomach is full, blood is directed away from other organ systems, including your nervous system. The result is a feeling of lethargy, especially after a big meal that may be high in fats and carbohydrates. Take it slow over the holidays. Enjoy all your favorite foods, but do it in moderation. A little bit of everything. You can always have some leftovers the next day. This entry was posted in Health News and tagged family dinner, healthy dinner, nutrition, turkey dinner, turkey hangover, turkey lethargy on November 1, 2014 by admin.